Temple Israel is unlike any other synagogue in the world. We make up one percent of all Reform Jews in North America. 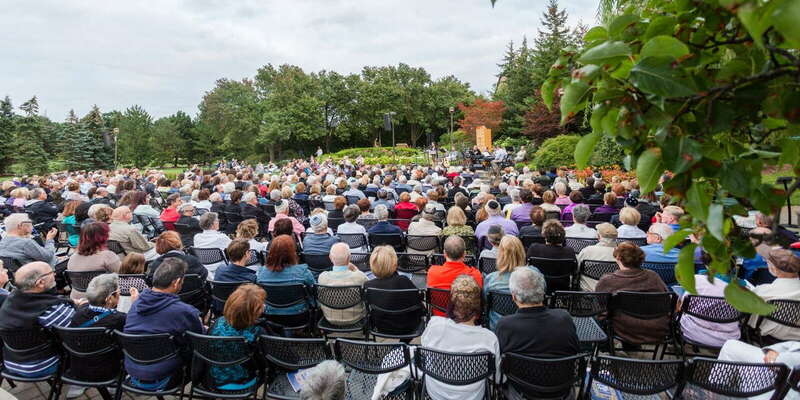 We often have more than 1500 people at our gorgeous outdoor summer services. We have more involved teens than any other community, and our program is growing. Why? We are authentic, and would never sell a spiritual ‘product’ that we ourselves would not buy. To that end, we pray from our own illuminated prayer book, written by our clergy and congregants. We care for each other. We have a full social service agency within our congregation, to support our members and community through life’s joys and challenges. Our clergy develop close, personal relationships with members. Despite our size, our non-hierarchical clergy team (that means there’s no ‘senior’ or ‘assistant’ rabbis or cantors) is relatable, available, and passionate about building strong connections with those they serve. We are not afraid to fail, trying new and innovative things to bring life to our ancient faith, and to keep Judaism relevant, lively, and meaningful for the Jewish people. You belong here. We know you’ll love it here. Come check us out. At Temple Israel, our mission is to create an inclusive center for spiritual fulfillment and community building through the lens of Reform Judaism. That’s why we’re devoted to encouraging an atmosphere of lifelong learning and appreciation of Jewish culture. We support our homeland, the State of Israel, and are passionate about helping Jewish communities across the globe. Since the very beginning, we were committed to the idea of Jewish community as a means of preserving Jewish traditions through the inclusive setting of a Reform congregation. We were the first Reform congregation in the metro Detroit area to introduce a cantor to the service, and to revive the tradition of Bar and Bat Mitzvah. We also saw Reform Judaism as a way to make an impact within the community, which can be seen from the thousands of community events and charitable fundraisers we've held throughout the years. As the great talmudist Rabbi Solomon Bar Issaac (otherwise known as Rashi) wrote, "The main descendants of the righteous are their good deeds." And that's a big part of our mission at Temple Israel - to bring about positive social change through our Jewish values. Our hope is to continue Temple's tradition of preserving these cherished values for future generations. We are located at 5725 Walnut Lake Road in West Bloomfield, Michigan.